Oki MC760dnfax: A4 LED printing unit for professional use. Oki promises to support departmental sizes with up to 30 employees with its A4 color multifunction device. We put the Oki MC760dnfax to the test and show what the device does. All-printer-review.com reviewed the Oki MC760dnfax MC700 series multifunction system. The 28-page A4 device is designed primarily for business applications and is ideal for single workstations as well as for use in larger departments. For this, the multifunction printer can be upgraded with three additional paper cassettes to cope even with large print volumes. The scanner in the Oki device promises a fast distribution of digitized documents in the network. With features such as Scan-to-USB, Scan-to-Email and Scan-to-Network, users can use a variety of communication channels. The classic fax is part of the model to the standard. The Oki MC700 series includes four model variants, of which we have taken a close look at the MC760dnfax in the test lab. All four models are professional tools for a high print volume. The cheapest model, the MC760dn, operates at a speed of 28 pages per minute. The fax function is optional on the device. 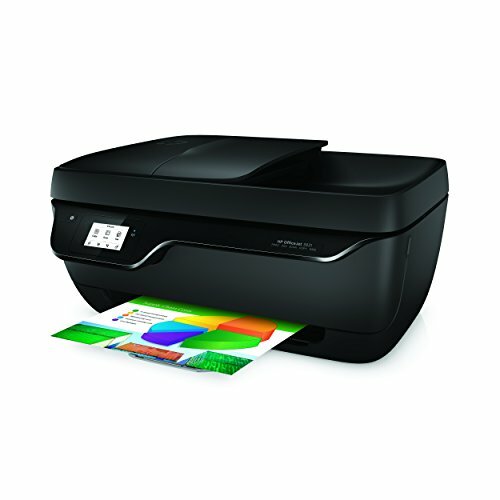 The model tested by All-printer-review.com has the fax unit integrated by default. The MC770dnfax has the same features as the MC760dnfax, except for the higher tempo. The MC780dfnfax offers the highest printing speed with 40 pages per minute. In addition, the model has an internal finisher with offset output and stapling function. In order to better assess the test results of the Oki model, we have compared the Oki MC760dnfax on the following pages rival models of HP, Kyocera and Lexmark the Oki MFP. Only in a direct comparison shows how well Oki beats in the individual test disciplines. In the test tasks, the Oki model showed a mixed performance. The MC760dnfax printed a 100-page PDF document at a mere 20ppm instead of the promised 28 pages. Also for the printout of a photo, the device took much longer than the competition models with more than one minute printing time. The printing costs are also quite high compared to the competition. The features of the MC760dnfax are well prepared. Although Oki has equipped its model with Ethernet for operation as a central printing system in departments, a network connection via WLAN is only possible as an option. Well over 150, the module costs to wirelessly print documents from mobile devices such as notebooks, tablets and smartphones. Too expensive, as All-printer-review.com finds, after all, the radio interface is a standard even in many from 100- multifunction printers. Although the large, movable display ensures that even wheelchair users can operate the device comfortably, it hinders the paper output in the lowest position. This of course restricts the ease of use again, if you first have to fold up the console to remove the printouts. The replacement of consumables is also less ergonomic. You have to swing the entire scanner unit to the side to get to the next housing flap. Only when you open these, you get to the consumables. To change the toner you have to release a lock. But beware: If you lift the cartridge out of the device, it can trickle toner if you do not work very carefully.